Chris Schwarz posted a nifty trick for prepping scrapers that I thought I’d point you to in case you didn’t see it. He grips the scraper blade with the ruler, sliding both along the stone, rather than sliding the blade over the ruler. 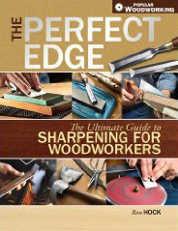 And he uses a block of wood to distribute down-force over the edge of the scraper for uniform honing. Both good ideas! Stephen, of DIYourfaceoff, built a beautiful Krenov-style plane using a HOCK blade and documented his experience here. Notice that he used a 1/2″ dowel for the cross-pin. I recommend that change from the “official” Krenovian methodology. It works just fine and saves having to fuss with the more traditional pivoting cross-pin (which is a PITA to make.) Nice work! And Matt Vanderlist of Matt’s Basement Workshop built a HOCK Shoulder Plane kit and seemed to have a good time doing it. He varied from our “official” instructions with the not-quite-through holes for the locator dowels. Good idea! Thanks to Stephen and Matt for documenting and sharing their tool-making experiences. Linda and I just returned from two weeks in Europe. 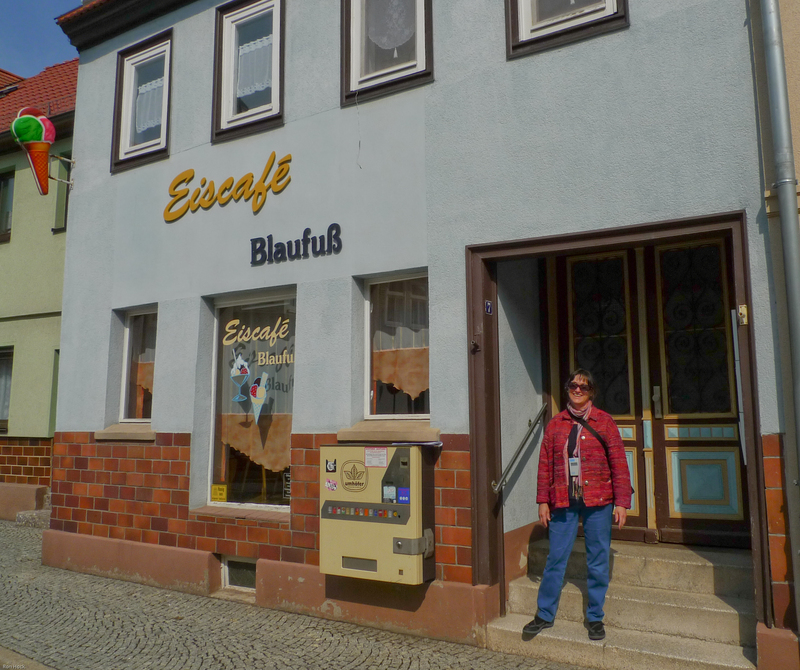 She was invited by the mayor of the town of Themar, Germany, where her father, Manfred Rosengarten, grew up, to join other descendants of Jewish families that lived there before the war for Yom HaShoah, Holocaust Remembrance Day. Themar is a farming town of about 3,000 people in Thuringia, in what was East Germany. Manfred was 17 in 1939 when he and his family fled to Shanghai to escape the Nazis. There are no Jews left in Themar but in the early eighties Manfred started corresponding with some of his old friends there. His longing and outreach opened a channel of communication that made it possible, these years later, for the town to start its efforts at reconciliation. Twenty-four of us traveled from all over the world to accept Burgermeister Bose’s invitation for a weekend of gatherings, speeches, dinners and a walking tour of the town to show us who had lived where. We saw the house where Linda’s father was born, found the graves of her great-grandparents and met two cousins that she never knew she had. A memorable event in a beautiful part of the world. Emotional and intense but gratifying and rewarding. It’s a long detailed story that doesn’t really belong in this blog so if you’d like to know more, feel free to contact me directly. From Themar we headed down the autobahn to France. 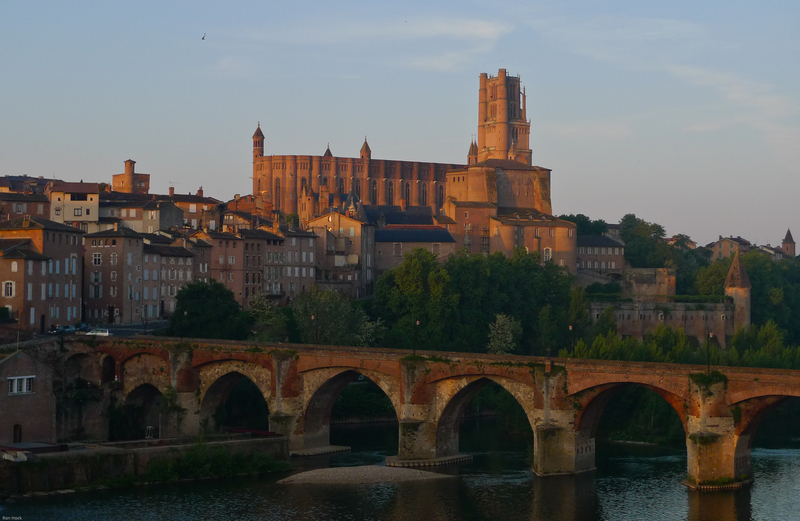 Among other fun things we’d planned a visit to the beautiful city of Albi to touch base with our friend Michel Auriou of Auriou Toolworks. 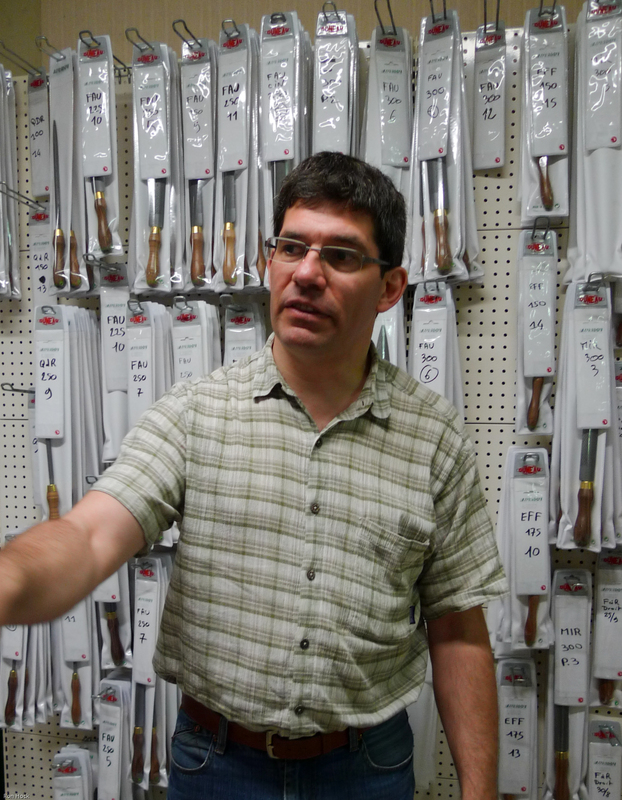 You probably know Auriou for their highly acclaimed rasps and riflers, but they are renowned for their stone-carving tools as well. Michel was a generous and entertaining host as we got the full tour and traditional French meals with good food, wine and camaraderie. He is the fourth generation of Auriou tool makers, still making most of his tools the old-fashioned way with forge and hammer. They manage all aspects of their tool making in-house — from bar stock forged to shape, to stitching the teeth by hand (yes, each rasp tooth is raised by hand-held punch and hammer), to heat treatment and final finishing and assembly. Sometimes the old ways are still the best. Our visit to the forge at St. Juery was fascinating. Our host and guide, Michel, was informative and interesting. He’s doing some excellent work on excellent tools that deserve the acclaim they receive. I wish him success in the future and look forward to our next visit. Linda and I hope it will be soon.